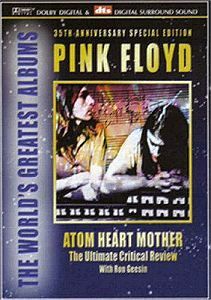 From the company that brought you the Inside Pink Floyd release (and understandably there were some very strong feelings from fans about that), comes this new DVD, promising the "only known footage" of the Floyd performing Atom Heart Mother at the 1970 Bath Festival. This is plugged heavily on the rear of the box, and is illustrated not with a still from the footage (and you'll know why in a minute) but curiously with a shot of the 1977 flavour touring band, complete with Snowy White in an Animals t-shirt! The DVD sets out to trace the history of the Atom Heart Mother suite in the 74 minute main feature, and starts with establishing footage of the band from 1967/68. The first shock is the terrible quality of the Look Of The Week footage they use - I've seen a few versions over the years, and this is by far the worst of the bunch. 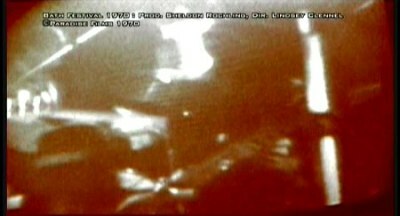 Unfortunately other footage - more significant footage - on the DVD also displays problems, which I will come to. Navigation is straightforward, with a well animated computer generated cow illustrating both the menus, and the chapter points. Rock critic "Krusher" relates the band's tale, with the help of journalist Chris Welch, and some other music industry people. Krusher's strange delivery, very obviously reading from an autocue, is interspersed with murky KQED and Stamping Ground Festival footage. (KQED is a San Francisco based TV station, who broadcast a stunning, audience-free live set in 1970). Krusher's delivery of certain words is most distracting, as he puts strange emphasis on things - a good example is when he refers to the original, working title of AHM: The Amazing Pudding! However, to the rescue comes the irrepressible Ron Geesin, as entertaining as ever. He, of course, co-wrote and arranged AHM, and was a vital element in the creation of the piece. Ron is interviewed at his home, showing us his studio, his collection of adjustable spanners(! ), and talks of his creative processes. 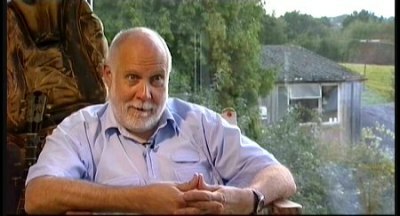 The narrative provided by Ron is well worth checking out - he provides a fascinating behind-the-scenes look at the trials and tribulations of creating the work. It is during his discussion of financial restraints on the number of choir members, that we get our first glimpse of the Bath footage. Letterboxed, resulting in the wrong aspect ratio, and saturated in red, it is extremely difficult to make out what you are looking at most of the time. Frustratingly, too, we only get a few tiny snippets of the performance, with no option to see the footage as a whole, even in the (sparce) DVD extras section. And what we do get to see, is a fraction of the complete performance of AHM at the show. Many will be buying the DVD purely on the strength of this fabled footage, so to treat it in this way is astonishing! Other surprises include the use of the BBC's 1994 Omnibus documentary, although the clips used are, again, in poor quality, looking to have been sourced from a low bitrate mpeg version. As the DVD progresses, the subject matter turns to the rest of the album. Curiously they only look at Fat Old Sun and Alan's Psychedelic Breakfast, not even mentioning If and Summer '68. To ignore a pretty significant 40% of the album is... odd! The coverage of Fat Old Sun is accompanied by the BBC 1971 radio session recording, and is afforded equal time on screen as Alan's Psychedelic Breakfast. We were expecting Fat Old Sun to get the lions share of coverage between the two tracks, being much more significant a tune in the band's repetoire. 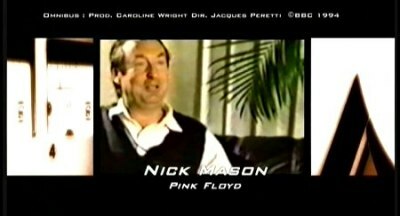 Turning to the rest of the DVD, the extras are purely plugs for other Classic Rock production - "Chillout to the Music of Pink Floyd" and "The Pink Floyd Chamber Suite". The clips will give a flavour of their contents, but otherwise are of limited interest. The footage clips aside, the sound and picture quality on the DVD are fine. Apart from Dolby Digital stereo, we also get 5.1 and DTS soundtracks. These add little to things (with nothing to choose from between both surround formats), and indeed the most noticeable effect, particularly early on, is the rear channels receiving a lot of the hiss from the source materials. Overall, with the notable exception of the Ron Geesin segments (which are the only segments on the DVD worth watching, for the true insights into the recording, from someone intimately involved with it), this DVD is extremely disappointing, with some real missed opportunities. Actually, that does seem to sum up ALL of the Classic Rock DVDs that we've seen to date - poorly done, and not something that we could ever recommend. Should you still wish to order the DVD, it can be obtained from Amazon UK and Amazon Germany, currently.